No one’s ever too old for the magic that is Disney! The manicures below used our favorite characters and movies to make some seriously stunning nail designs. So, indulge your inner child and scroll forth and admire these absolutely majestic Disney nail art ideas! 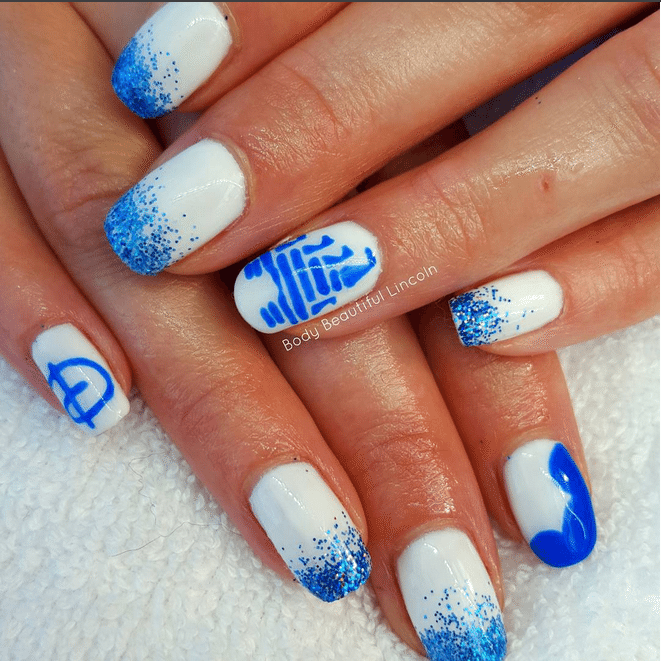 These Cinderella castle nails are bibbidi bobbidi BEAUTIFUL! Sorry, I totally had to. The tiny castle looks just like the logo we all grew up with and the glitter adds that magical touch. These super detailed Disney nails are absolutely adorable. Who can forget Lady and Tramp’s famous spaghetti kiss? Awww. How CUTE are these princesses? Snow White, Ariel, Belle and Jasmine all look absolutely precious in this mani. Ariel’s tiny starfish accessory and red hair is the perfect pop of color. We are obsessed with this manicure! Peter Pan is one of the most iconic Disney films and these nails with simple silhouettes and the phrase “never grow up” are perfect. These Monster’s Inc. nails are so simple yet adorable. The bright colors are so refreshing and fun! These Disney nails are also super bright and fun. I love how the nail artist copied the main character’s signature outfits and incorporated the adorable little aliens! This manicure is so elegant, simple and chic that you can hardly tell it’s based off of a Disney movie! Of course, we end our roundup with an iconic Mickey Mouse mani! Can we talk about that Mickey Mouse ears ring? SO CUTE! Will you try out some Disney nail art?